"Puka" means "hole" in Hawaiian. 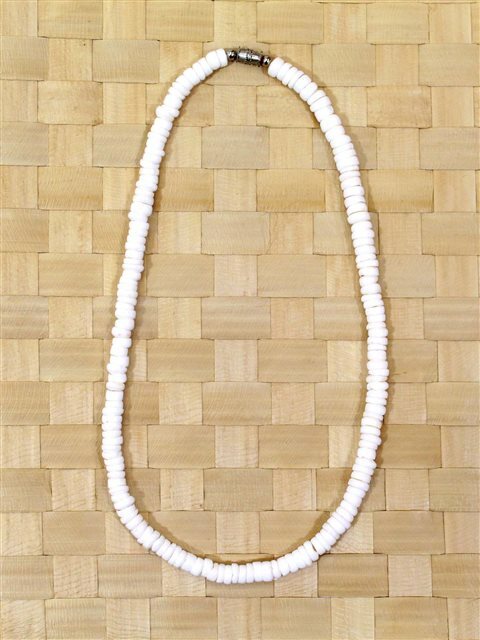 This bright white necklace is made of "puka shell"which is a shell with a natural hole. It?is perfect for resort style fashion. Made a little girl very happy.